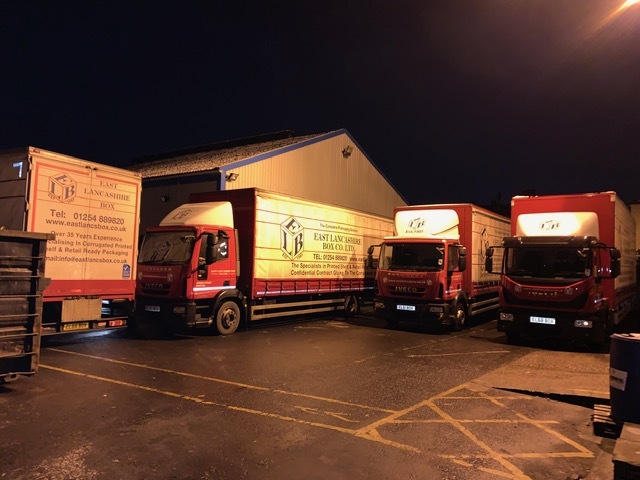 Yesterday we added another 12 tonne lorry to the fleet and had the rare opportunity of getting a picture of them all together at Spring Street. Just missing the van otherwise it would be a complete East Lancashire Box Vehicle family photo!! If you see us on the roads delivering our shelf ready packaging give us a wave! !